When the state of Maryland opened MGM, there were high hopes that the casino would be able to bring in much-needed money to the state. Maryland saw gambling as a way to help their state economically. Maryland had been suffering from an economic downturn, especially in their fisheries, which were once one of the main exports from the state. The state decided in 2010 to allow casino gambling in Maryland. 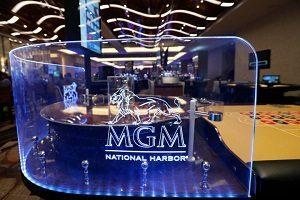 While the other casinos in the state are doing well, generating over $150 million a month, it has been the MGM National Harbor that has the way, outpacing the other casinos by a wide margin. 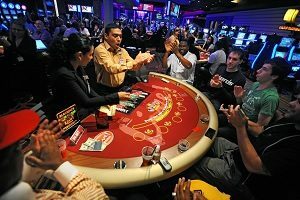 In 2012, the Maryland legislature decided they wanted to build a large-scale casino resort in Prince George’s County, close to Washington, D.C. The revenue would be distributed partially in the county to build a new hospital and start an economic fund for the county. The license went to MGM to build what became the MGM National Harbor. It is a difficult process to get a casino added in Maryland, since it has to be approved by the county, the voters in the county, and the legislators as well. The MGM National Harbor is part of a bigger development of mixed-use housing, shopping, and restaurants located in National Harbor. National Harbor has activities for families, as well as for singles who want to enjoy the nightlife. There is also a convention center at National Harbor, six hotels, over 20 restaurants and a Ferris wheel. The casino has 308 rooms, and 135, 000 feet of gambling space. The casino offers poker rooms, high roller play, and thousands of slot machines. The MGM has been outperforming all of the other casinos in Maryland. Of the six casinos in the state, the MGM is the largest casino resort complex. In addition, the MGM National Harbor is located within 20 minutes of Washington, D.C., which makes it a perfect place for millions of people to gamble. This may be why the National Harbor casino alone accounts for over 40% of the state’s total revenues from gambling. In general, the MGM National Harbor generates around $60 million dollars each month, and the revenue is expected to increase. The casino’s revenues are up 13% from last year. Coming in second to National Harbor is Live! Casino at Arundel Mills This casino has the largest mall in Maryland, and the casino is able to take advantage of that traffic to help fuel its revenues. Reported revenue of $49 million, which is a 12% increase from the year before. Horseshoe Casino in Baltimore had a dismal last month of the year, down 14% from the year before, and barely scratching the surface at $19 million. The other three casinos did not do as well during the last month of the year, especially Hollywood Casino in Perryville and Rocky Gap Casino. These casinos are smaller, and do not bring in the revenue of the larger casinos. However, Ocean Downs Casino, with an innovative marketing campaign and a customer-focused emphasis saw its revenues shoot up nearly 35% from a year ago. It is safe to say that the National Harbor casino wants to continue to lead the pack in Maryland. While they have grown each year substantially, the casino hopes to continue to grow just as rapidly in the years to come. If the development continues to attract visitors, and the casino continues its marketing drive, there is no reason it will not continue to thrive in Maryland, and improve its revenue stream.